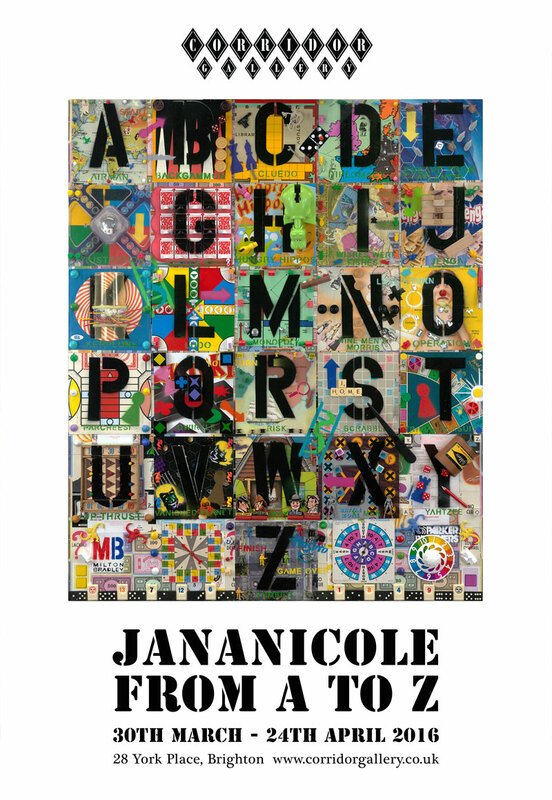 “JanaNicole from A to Z” presents an irresistible series of multi-layered, candy-coloured, mixed media works which tackle an eclectic array of topics with an eerie sense of equality; categorising diverse subjects including obscenities, shoes, religion and breakfast cereals. JanaNicole approaches life, creativity and work with a genuinely infectious zeal; her energy, passion and joy will fill Corridor Gallery’s unique exhibition space in an onslaught of colour and vitality celebrating JanaNicole’s unique approach to Art. Upon closer inspection these dazzling multi-layered works take shape, filling Corridor Gallery’s unique space allowing for a mesmeric exploration of JanaNicole’s distinctive and personal approach to Art. JanaNicole’s “A to Z series” brings a sense of equality to a range of subjects both controversial and seemingly mundane; offering a notion of fairness, for example the compositional treatment of pieces like “Mysticism” and “Religion” hinting at JanaNicole’s subversive sense of humour and mingled with deft subtly in amongst her multi-dimensional works. The subtle detail contained within each piece is perfectly illustrated by JanaNicole’s “A to Z of No” – a collection of found and remembered signage which covers decades of social, societal and cultural changes; reminding us of positive changes (as certain signs have now thankfully become defunct) and providing fresh insight into the aggressive nature of such signage; which begin with a stern statement about what is not acceptable. JanaNicole’s creativity has been a huge part of her life from childhood. Since settling in East Sussex she has spent years building a successful and happy career as a commercial painter. 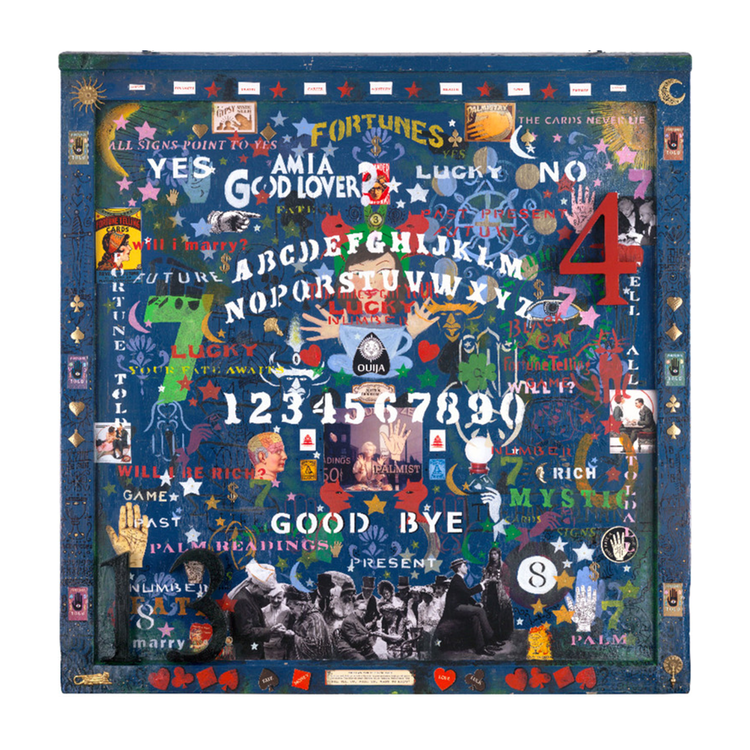 JanaNicole’s focus in recent years on her mixed media Fine Art practice has been quite rightly well received, enjoying exhibitions in London, the South of England and shows in her childhood home of Palm Springs. 2016 brings increased exposure and a profile on the rise with her mixed media piece “Cars and Stripes” bring reproduced as a billboard For Art Below and shown at Gallery Orange as part of the official Mardi Gras celebrations in New Orleans. Corridor Gallery is delighted to present the “JanaNicole from A to Z” bringing a welcome dose of Art packed with fun and thought-provoking meaning, offering a unique insight into the creative whirlwind that is the mind of JanaNicole. Congratulations! Have a great show! This entry was posted on February 27, 2016 by mptask in April 2016, Brighton, Corridor Gallery, March 2016 and tagged art, art exhibition, brighton, Corridor Gallery, JanaNicole, mixed media.